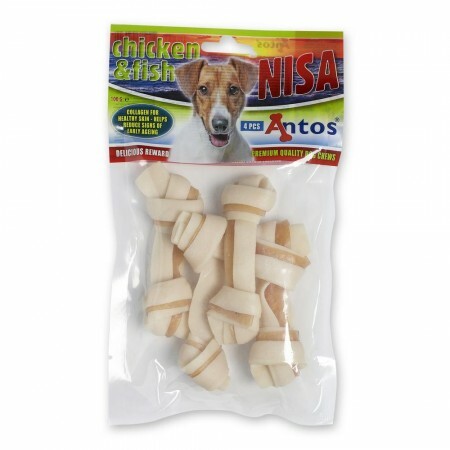 One bite and dogs will like the duo combination of chicken and fish in one treat. 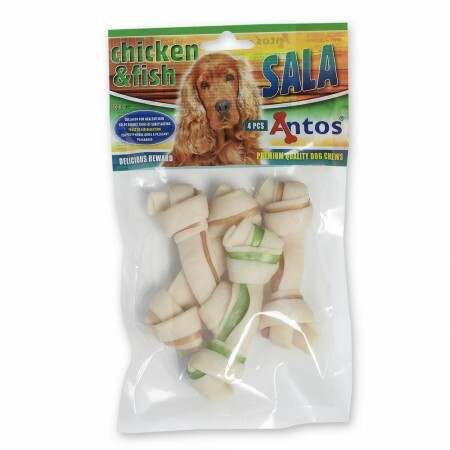 The balance ratio of chicken and fish plays a vital role in healthy skin and hair coat. 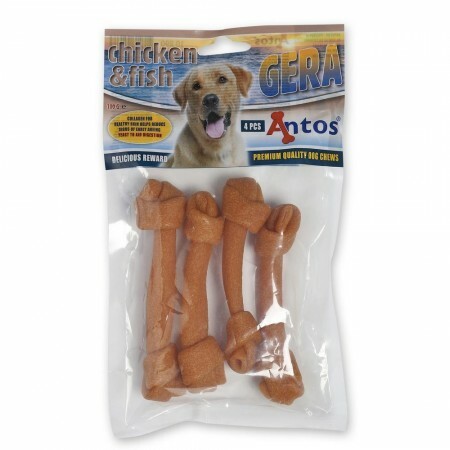 The treats have a soft and chewy texture that dogs love. Delicious, grain-free and gluten-free treats that are all-natural, low in fat and high in protein. 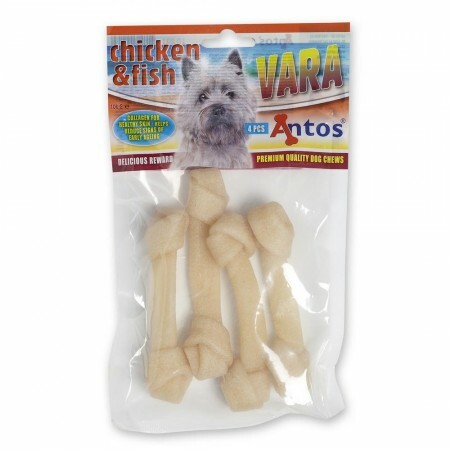 All Chicken&Fish treats are easy to break into small pieces for a great training session. 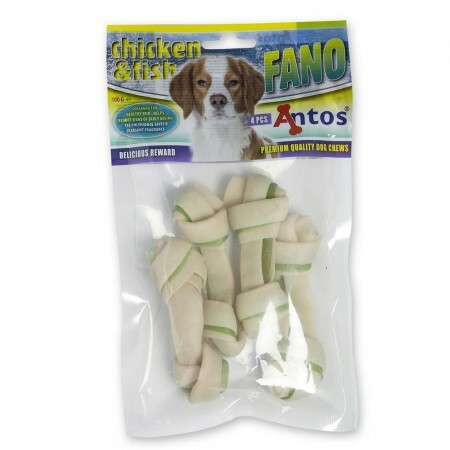 Prepared with separate strips of chicken and fish, Antos Chicken&Fish Strips are perfect for use as a training aid or as a snack between meals and will help reduce plaque and keep your dog’s gums healthy. 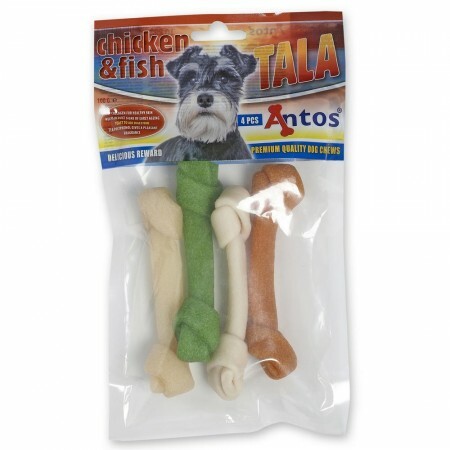 Our Chicken&Fish Twists are twisted for your dog’s delight.